AT&T To Pick Up HTC Liberty? 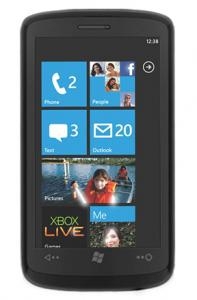 "Add the HTC Liberty to the rumored Windows Phone 7 list from HTC. Conflipper is reporting that the HTC Liberty appears to be a HVGA, GSM phone headed to AT&T. The Liberty joins the other five Windows Phones Conflipper picked up on last week as well as the Mondrian, which is also rumored to be headed to AT&T." Rumors are circulating that AT&T will offer the HTC Liberty, meaning that we may see two Windows Phone 7 devices from the carrier this fall. I predict we'll see a pretty active summer of rumors, hopefully culminating in more WP7 devices than you can shake a stick at.